Those of us who are in the know, know that for at least the last ten years, Target has been raising the bar on what a discount store is capable of. They've been teaming up with well-known designers for the last couple of years. Thomas O'Brien, Victoria Hagen and Michael Graves have all designed lines of furniture and housewares for them and their offerings been pretty uniformly good. Last year, Target teamed up with Dwell Studio and started selling a special collection of their linens. last year it was all linens from Dwell Studio, but this year they've taken the dive into furniture. 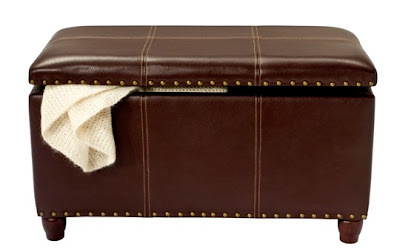 This is a leather ottoman by Thomas O'Brien for Target. The retail price is $129. That's not a typo. None of the prices you're about to read are typos. 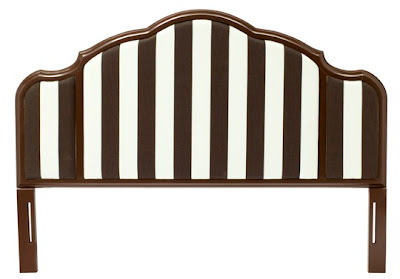 This is an upholstered headboard from Dwell Studio for Target. It sells for the princely sum of $149. Don and Betsy Draper, eat your hearts out. 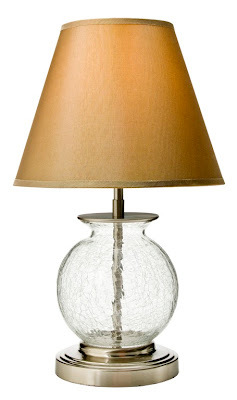 This is a $29 lamp by Thomas O'Brien for Target. Pottery Barn who? $250 table lamp where? And this is not a $2,000 Barbara Barry nightstand. 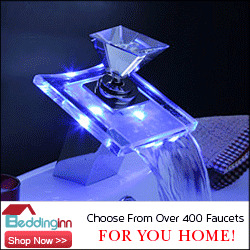 It is a $149.99 one from Dwell Studio for Target, my Target. So it looks like Target's getting better at this cheap chic thing the longer they stay at it. The high-end furniture and houseware people hate you, but I don't. 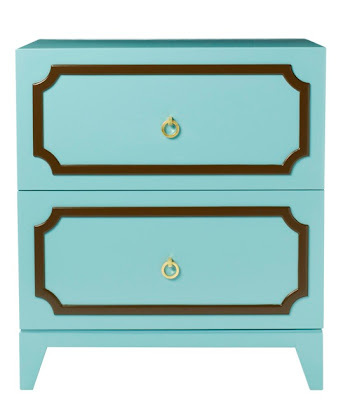 i have been looking on target.com since the day the dwellstudio nightstand was coming out and dont see it, does anyone know where i can get them?